In the heart of Burgundy 21 - The Ancien Resto gite sleeps 12 and with its swimming pool and games areas, is an ideal holiday home for for family groups . Also smaller gite for six nearby. Burgundy - near Chagny 21 - Self-catering gite for four people in the heart of the Burgundy vineyard area, southwest of Beaune, and close to many great Grand Cru vineyards. Gîte dans l'Yonne 89 Gite for up to 8 people in the village of Ligny-le-Châtel, near Chablis and Auxerre. Terrace and garden, flexible booking as a holiday cottage or by room, depending on availability. Gite near Tonnerre 89 - 3 bedroom, 2 bathroom traditional farmhouse with gated closed courtyard, in secluded grounds .Pool, free WIFI. Easy access to Chablis, Ancy le Franc and Auxerre. Rural gite in the Morvan hills 58 + Gite for up to five people in a quiet rural location on the edge of the Morvan. Views, lake nearby with swimming and boat hire. Online booking. .
Burgundy gite near Vézelay 58 - La Petite Folie is only 2.5 hours from Paris. It sleeps 2-4, and has been recently renovated and freshly painted, with modern appliances throughout. Gite in Ornans 25 Four-bedroom gite with terrace and grounds on southwest -facing slopes above Ornans. Hiking, kayaking close by. Courbet museum accessible on foot. Besancon 20 minutes away.Three bathrooms..
Cottages near Chateau Chalon 39 Two single-bedroom gites in the Jura hills, 7 km from Chateau Chalon and the Jura vineyards. Garden, terrace, wifi. For bookings and information please contact directly the owners of the property concerned : do not contact Gitelink France. For some of the gites presented in this directory, booking must be made through Gites de France. Gitelink France est une vitrine Internet efficace pour la promotion internationale de gites et de lchambres d'hôtes en France. Book accommodation at the best rates possible. Most properties listed on Gitelink can be booked directly with owners. Other properties, including several in this area, must be booked through a portal which does not charge any fee to the customer. Either way the visitor will get the best rates possible, avoiding the extra fees charged by other booking sites, including Gites de France. This area of France lies around and to the southeast of Paris. 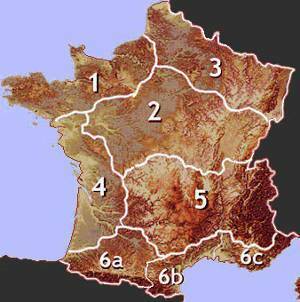 It includes the valleys of the Seine, the Loire and the Saône. Hiring a gite or a villa in the Paris area can be an interesting alternative to staying in a hotel in Paris, specially if there is a railway station nearby. A gite can also be an option for families wanting to visit Disneyland as part of a French holiday. Burgundy is largely an area of hills and valleys, famous for its vineyards, mostly concentrated in the south and around Chablis in the north. 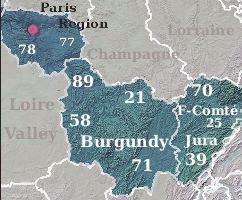 Burgundy is also the Morvan hills, with their spruce forests and hiking trails. Though culminating at less than 1000 metres, these are the closest mountains to Paris and are consequently popular with hikers and nature-lovers. 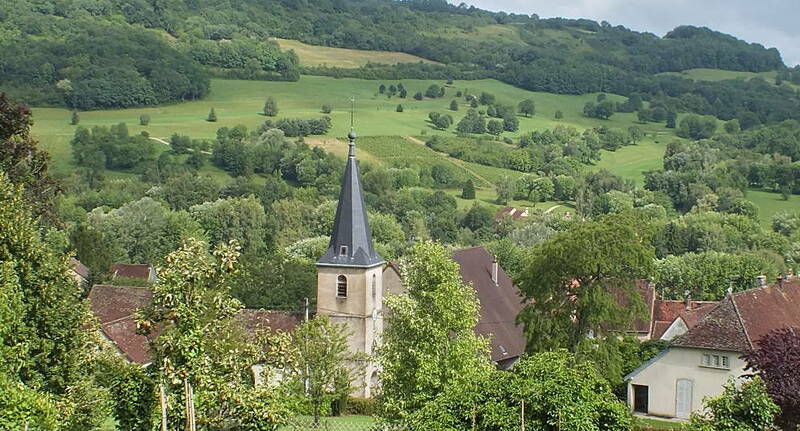 Franche Comté is made up of the Jura mountains, rising to 1500 metres on the Swiss border, and the rural hill country of the Doubs and Saone river basins. It is one of France's great underrated holiday areas, an area with fine countryside and plenty to see and do. In summers when much of France is dry and parched, the Franche comté generally remains a reasonably green and pleasant land . 3 to 5 hours from Calais or Lille under normal driving conditions.
. From Calais, motorway via Paris or via Reims.